Culture and Art Projects - Count of Monte Alea Foundation, Inc. The Academia Asturiana de Heraldica y Genealogia was founded on October 15, 1990 in Oviedo, Spain by a group of scholars interested in heraldry preservation, genealogical research and nobiliary studies. The Foundation is collaborating with the Academia Asturiana de Heraldica y Genealogia in a series of joint projects towards the edition of books on research in genealogy, heraldry and medieval history. Another goal is the preservation of historical monuments and rural chapels. The academy has its main headquarters at Villa Magdalena in Oviedo, Spain. The Academia has been very active in cataloging the heraldry of the Principality of Asturias as well as preservation and restoration of ancient arms such as the ones in the Palacio Revillagigedo in Gijon. and work together on common goals. Los Principados y Titulos del Heredero de la Corona en el V Centenario de la Unificacion politica de los Reinos de Espana (1512-2012). 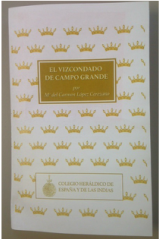 Edited by the Corps of the Asturian Nobility,the Military Estamento of Gerona and the city of Viana. 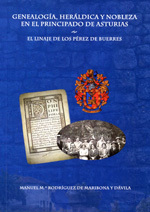 The edition was sponsored in part by the Count of Monte Alea Foundation in collaboration with the Academia Asturiana de Heraldica y Genealogia from a grant from the Perez-Castells family. 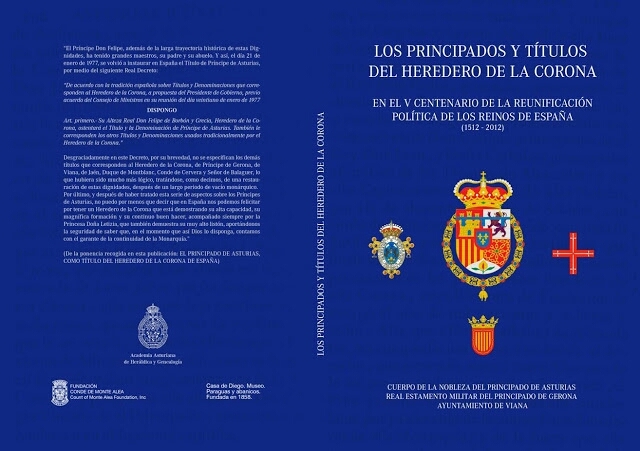 A copy of the book was given to HRH Don Felipe de Borbon, then Prince of Asturias, in a ceremony held in Madrid at the Zarzuela Palace on July 13th, 2013.